They are also building warehouses higher than ever. Less than a year after PrologisInc. opened the country’s first three-story warehouse in Seattle—a 589,615 square-foot facility that has ramps to the second-floor and a freight elevator to the third floor—developers in New York, North Carolina and Wisconsin are building the first ones with four stories. The first two stories of the planned warehouse will have a height of 32 feet each, and the upper two stories will be 28 feet each, making the facility as tall as a 12-story building. Development is expected to start by the end of 2020. DH Property is also building a three-story warehouse in Brooklyn. In the Bronx, Innovo Property Group is demolishing a movie theater to make way for a ramped, two-story warehouse with 863 parking spaces—an enormous capacity in New York City but necessary for modern, functional facilities—said the firm’s chief executive, Andrew Chung. 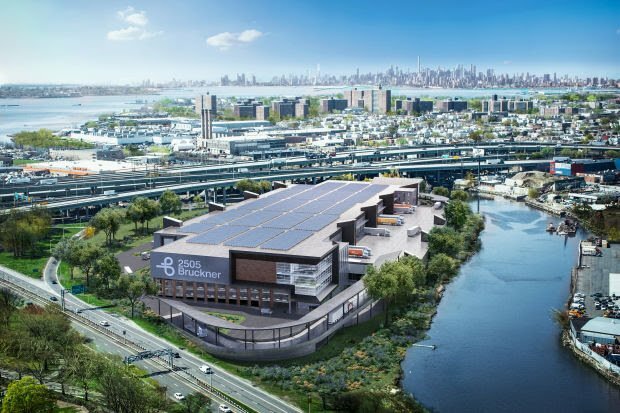 Brokers say it’s a coup for developers to secure large sites in New York, because they offer tenants faster access to households in Brooklyn and Queens than do existing New Jersey warehouses. But some analysts say these state-of-the-art warehouses are risky bets. Developers are paying for expensive land, usually without a committed tenant. Most retail tenants commit only after they see steel going up. Multi-story warehouses are also more costly to build, with a rule of thumb that the cost per square foot is doubled for every floor added, real estate executives say. There are also questions about the depth of demand and whether these new warehouses will address the needs of tenants that may change during the next few years. “Is there demand for such a luxury good? 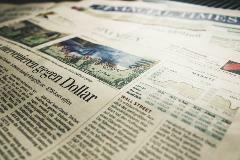 That’s the billion-dollar question,” said Eric Frankel, an analyst with Green Street Advisors. On Staten Island, warehouse developer Matrix Development Group, which counts furniture chain IKEA and Amazon.com Inc.as tenants, is not planning to build any multistory projects. For us, “much less expensive spaces is the better-end of the market,” said Matrix’s Chief Executive Officer Joe Taylor, adding that suburban facilities do offer flexibility for tenants catering to New York City. Still, some said these higher expenses are justified. If tenants can save on labor and transportation costs, which account for more of the expenses in supply chains, they will be willing to pay higher rents. Parking space for trucks is also in high demand, especially in New York. “There’s a lot of value to fleet parking,” said Brad Cohen, senior vice president at property consultancy CBRE. In New York City, warehouse rents averaged $20.89 per square foot in the fourth quarter last year, up 4.5% from a year earlier, according to data from CoStar Group . 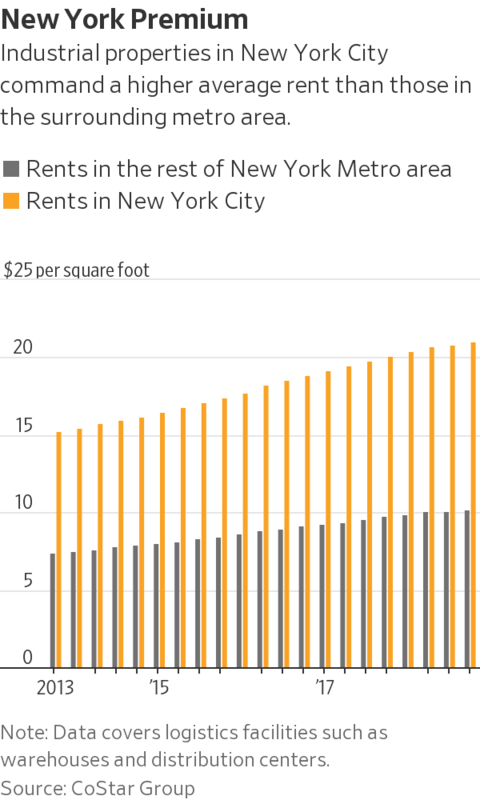 Rents in the rest of the New York metro area rose 4.9% to $10.43 per square foot over the same period. “Are we slightly above market rents? Yes, but we can’t be too far out of whack,” said Jeff Milanaik, partner for Bridge Development Partners’ Northeast region. He estimated that rents could be around the mid-$30s per square foot.